A Your Holiday Claims client has recently obtained £1,435 compensation after contracting gastroenteritis at the Reef Oasis Blue Bay Resort and Spa in Egypt. Kathryn Ford, 48 from Derby, had travelled to the Sharm el Sheikh location in October 2013. On the sixth day of her weeklong holiday, Mrs Ford fell ill with symptoms of sickness, diarrhoea, nausea, and stomach cramps. Due to the severity of the illness suffered, Mrs Ford was confined to her room for the remaining days of her holiday at the Reed Oasis Blue Bay Resort and Spa. The illness continued on Mrs Fords return home and she requiring more time off work. She sought treatment from her own doctor and it was confirmed that she had contracted gastroenteritis on holiday. You can read more about how we help holidaymakers make gastroenteritis holiday claims here. 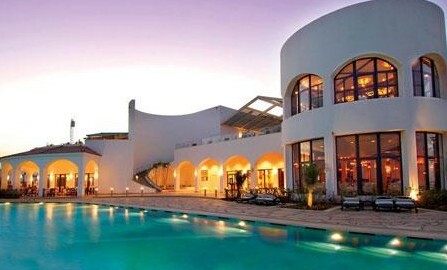 Was your holiday ruined by gastroenteritis at the Reef Oasis Blue Bay? If your holiday has been ruined by gastroenteritis at the Reef Oasis Blue Bay Resort, you may be able to make a successful no win no fee holiday claim. At Your Holiday Claims we have over 50 years combined experience within the travel law industry. We are here to help you make a successful compensation claim. Our specialist holiday claims team are always on hand to answer any questions you may have and to offer you advice on the claims process. Complete the quick form to talk to one of our dedicated holiday claims experts. If you would like more information on how to make a claim for holiday illness, or would like some advice to determine if you could have a successful claim, speak to our team of professional experts who cover a wide range of legal matters, from loss of income due to holiday illness to serious injury claims. Contact us today on 0330 100 2851. If you or any members of your family have fallen ill on holiday in the last 3 years, or been involved in an accident abroad, you may be entitled to compensation and we are here to help. So start the process today by calling our holiday claims experts on 0330 100 2851, or simply complete the online contact form below to arrange a quick call-back. We look forward to helping you. What is the process for making a holiday accident claim? What type of cruise ship accidents can you claim for? Trevor and I would like to take this opportunity to thank you and your team who helped us in our successful claim. It is such a relief to be able to now put this behind us. Many thanks for all your hard work and for all you have done for us. I would like to thank Anne Thomson for all her help, understanding and patience throughout my claim. Following my family becoming ill on holiday and my 2 year old daughter becoming particularly unwell, I contacted Anne at Your Holiday Claims from an internet search to see what I could do in regards to bringing this to my holiday company’s attention. I would like to thank Tracy Stansfield for the work she has carried out for me and assisting me in getting justice against the tour operator. Having never thought to have contacted a solicitor to pursue a claim for compensation before, I am glad that I instructed Your Holiday Claims to deal with my claim following a holiday illness I suffered during my stay in Egypt. We are very happy with the outcome of our case, especially as we were not offered anything from the tour operator we had booked our holiday with.